From time to time we will feature one of collectables that we sell, under the heading of Own a Piece of History, because many of our collectables are just that, a physical piece of UPA or general animation history. This article features Inside UPA, a limited addition book of rare photographs of UPA personnel from the 1940s/50s, edited by Amid Amidi. The photos are from private collections of Steve Bosustow, Bobe Cannon, Joe Siracusa, and Howard Beckerman. Both of the images connected to this article are image from the Inside UPA book. The original 50 signed books have been sold, with signatures by Bob McIntosh, Gene Deitch, Fred Crippen, Alan Zaslove, and others. However, there are still a number of unsigned books left of this limited edition (one 1,000 copy run only) of rare photos, which look into the artists at work at UPA Pictures in the 40’s and 50’s. These numbered, and unsigned, editions are being sold at $60 a piece, which includes shipping anywhere in the world. All funds go to the production of the UPA documentary feature. The Inside UPA books can be purchased in the Boing Shop, under the Support menu. There has been talk of raising the price at the begin of 2016, so, if you’re interested you might want to get your copy now. An additional idea was suggested, that we offer, only through the Boing Shop, a “new signed version,” signed by Tee Bosustow, the producer/director of the Boing Heard Round the World, host of “Toon In! 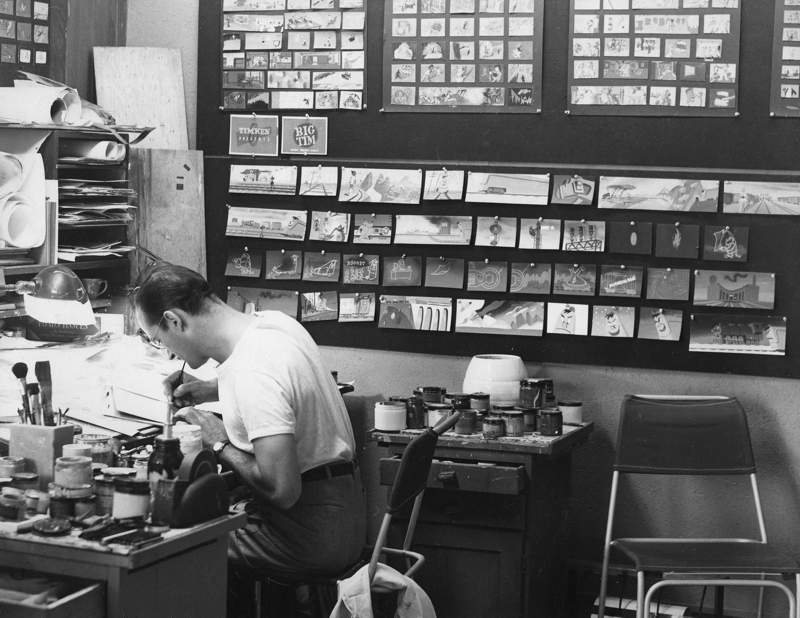 … to the World of Animation”, and a son of Steve Bosustow, who headed UPA from the early-40’s through the end of the 50’s. This “new” signed version, also numbered, will sell for $75 a piece, and includes shipping anywhere in the world. These new signed books will all come out of the limited 1,000 book printing. When the thousandth book is sold, that’s it, no more to sell. That’s why they call it a “limited” edition.